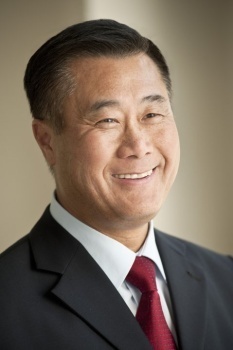 California Senator Leland Yee has released his holiday shopping guide for parents and I bet you'll never guess what's on it! In all fairness to Senator Yee, I think most of us would agree with him that M-rated videogames are not for kids. Six-year-old children should not be playing Duke Nukem Forever. But that perfectly reasonable message has a way of getting lost in his stridently anti-videogame approach. The bulk of his "Urging Parents to Avoid Violent Videogames When Holiday Shopping For Kids" consists of a defense of the California videogame law that was overturned by the Supreme Court earlier this year and claims that studies have proven a connection between violent videogames and increased aggression. "It is vitally important that parents and grandparents consider the content in videogames before making holiday purchases," he said. "There is significant evidence demonstrating ultra-violent videogames have negative effects on children, and can cause real behavioral changes." Be aware of advertising and marketing to children. Advertising pressure contributes to impulse buying. Become familiar with the game. If there are violence and sexual themes in the title or cover picture, you can assume these themes are also in the game. Avoid 'first person shooter' and 'third person shooter' games, which usually focus on gunning down hundreds of people. Discourage games that reward the player with more points or new scenes for anti-social and violent behavior. Some of the points are most definitely valid; parents should be familiar with the games they're buying for their kids or at the very least pay attention to ESRB age ratings and content descriptors. But I question the need to make them quite so apocalyptically. Can we not say that some videogames aren't for small children without also claiming that exposure will turn them into raving ax murderers? Yee also put together a list of "bestselling violent videogames" that parents are urged to avoid: Call of Duty: Modern Warfare 3, The Elder Scrolls V: Skyrim, Battlefield 3, Uncharted 3: Drake's Deception, Metal Gear Solid HD Collection, Assassins Creed: Revelations, Saints Row 3, Halo: Combat Evolved Anniversary, LOTR War in the North, Dark Souls, Dues Ex: Human Revolution, Gears of War 3, Rage, Dead Island, Dead Rising 2: Off the Record, House of the Dead: Overkill Extended Cut, and Resistance 3. Be sure to show it to your kids so they can pick out which ones they want.